← First Workshop this Thursday! Our second Around-the-World practice session is this Thursday Feb. 23. We’re looking at tunes at Québecois and Old Time Canadian tunes namely – “Old Man, Old Woman”, “Growling Old Man, Grumbling Old Woman”, “Debbie’s Waltz”, “Tuggerman’s Jig”, “Old French” (Tunes are posted on our website under the Tunes tab). Looking forward to seeing you, doors open at 6:45 ! World Fiddle Day Books are ready to pick up at the jam! Become a member and you get a great deal! The Tune Book with music cd, two workshops, the Around-the-World Fiddle Jam and the evening concert! 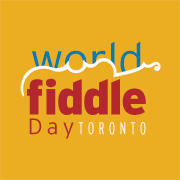 Read more about our fabulous guest artists who will be teaching workshops and playing the concert on World Fiddle Day Toronto May 20, 2017.